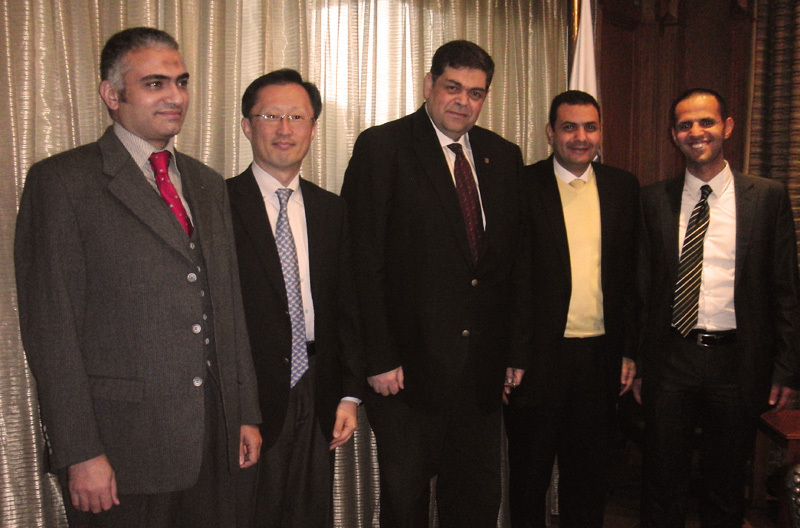 Last month, Youngsuk "YS" Chi, Chairman of Elsevier and Director of Corporate Affairs for Reed Elsevier, traveled to Cairo to meet with Elsevier customers and government officials. He met with representatives from the Supreme Council of Universities, the Zewail City of Science and Technology, and the Academy of Scientific Research and Technology to discuss Elsevier's ongoing partnerships with these institutions and their efforts to raise Egypt's research output to global standards. 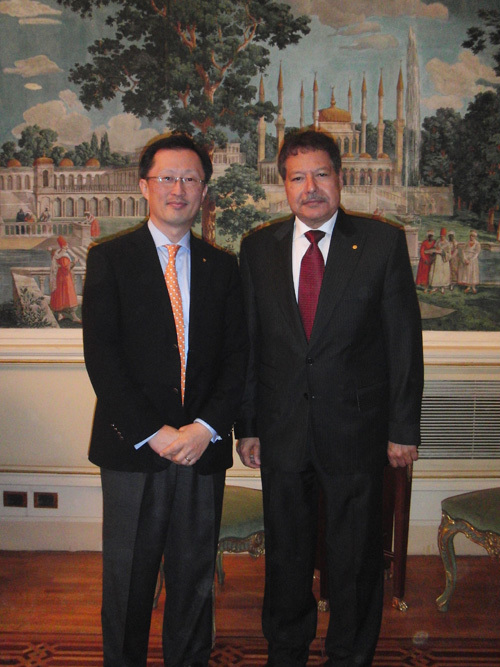 In his capacity as president of the International Publishers Association (IPA), Mr. Chi also met with government officials, including President Mohamed Morsi and Foreign Minister Mohamed Kamel Amr, to discuss critical issues affecting the publishing industry in Egypt and around the world. What were some of the topics you discussed in Egypt? My meetings covered the scientific research landscape in Egypt, its future, and what universities in Egypt are doing to raise research standards. For example, when I met with President Morsi in my role as President of the International Publishers Association, we discussed Egypt's need for a clear commitment to basic research funding, despite the fact that it yields long-term results as opposed to an immediate return on investment. The president was very engaged on this topic and stated that he is keen to see more Arabic-language STM (scientific, technical and medical) journals and books. We discussed the importance of primary and secondary school education to Egypt's success in the future. More generally, we also spoke about the importance of maintaining Egypt's competitive advantage as a longstanding intellectual and cultural leader in the Arab region by nurturing the cultural industries in the country. What do you think will be the key factors in advancing the STM research community in Egypt? I would say there are three key factors: first, as I discussed, investment in primary and secondary education is essential to laying a solid foundation for higher education. Second, resources for scientific research need to be strategically allocated to ensure maximum return on investment. On this point, one of our main customers in Egypt, the Academy of Scientific Research and Technology, is using Elsevier's SciVal suite of products to make strategic, evidence-based decisions. For example, they are using comparative analyses and brain circulation maps created by Elsevier to identify Egyptian talent abroad. By working to identify Egypt's core research competencies, they will be able to sharpen Egypt's focus to elevate its research to global standards more quickly. Third and finally, it is important for Egyptian students and researchers to have access to more STM resources in Arabic in order to reach a larger segment of the population. One way this is improving is through the advancement of Internet translator services, which may eventually be able to sufficiently translate articles into Arabic to be read by those without English fluency. Why do you think it was important to speak with the Egyptian government from an Elsevier point of view? At Elsevier, we view ourselves as an important partner of researchers and the research community. As such, one of our primary goals is to support that community in any way we can. Usually, we do this directly by producing solutions to improve researchers' workflow and make their jobs easier. But we can also help indirectly by talking to governments about the importance of investing in research. Because we are a truly global company, we have a deep knowledge of the research community all over the world. This makes us uniquely qualified to give an expert opinion on the importance of research to a nation's economy. It is vital that we advocate on behalf of the research community for the government's support, especially when something like investment in basic research does not yield immediate returns. Elsevier is also a leader in the publishing community, and it is important that we advocate for that community as well. We often take the important role publishers play for granted. Publishers are essential to the creation of a well-informed population: we are disseminators of scholarship and scientific discoveries. From a personal standpoint, what was the most exciting part of the trip? Dennis Lee is Manager of Corporate Relations at Elsevier. Previously, he worked as a business analyst in the office of Vice Chairman YS Chi and as a multimedia writer for global communications. He received a BA in English fromPrinceton University.